Use PeopleVine to power your online product and merchandise sales. Here's a basic outline for what you'll need to do to get started. First, set up payment processing via My Account > Payment Processors. If you don't already have a merchant account for accepting payments online, see here. Next, set up shipping options at Sell > Commerce Settings. If you'll be selling products from multiple brands, add these brands via Sell > Create a Business/Brand. If you'll be providing products in different categories, set up those categories as well from Tools > Create A Category (be sure to select "Product" from the component dropdown menu). Setting up your brands and categories first will allow you to assign them more easily to each product you add in the next step. See here for more info. You can see and test how the above example appears on our sample website here. 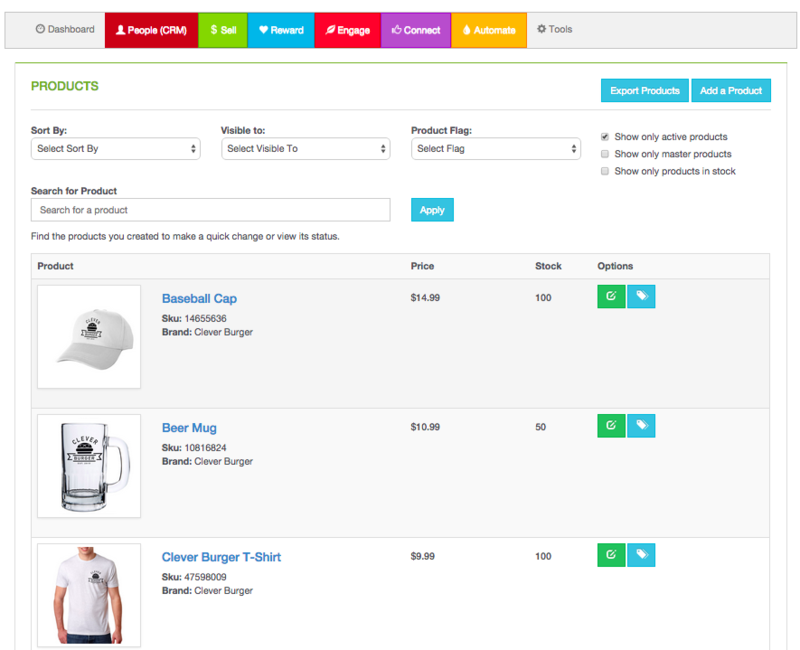 PeopleVine automatically generates the commerce site as you add your products. You can shop all products via [yourdomain].com/commerce_shop.aspx and view the standard commerce home page at [yourdomain].com/commerce_home.aspx. Once your shop's set up, integrate any or all of these other PeopleVine tools to take your engagement (and sales!) further. Got questions? We can help! Email support@peoplevine.com or tweet @PeopleVineApril for assistance.